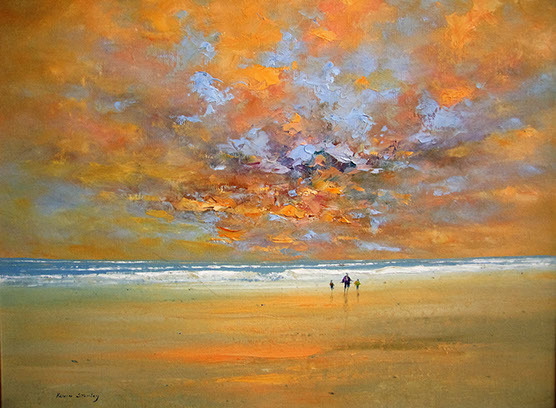 Kevin Stanley’s impressionist canvasses, reflect the colorful richness of nature, so lend to lifestyle art, bringing the outside to interiors; with seascapes for ‘waterside and beach living’, to a fundamental ‘country-look’ of vast Karoo horizons. He has lived and farmed in the Karoo, where he was influenced by the scale of the horizon and ‘miniaturization’ of man. 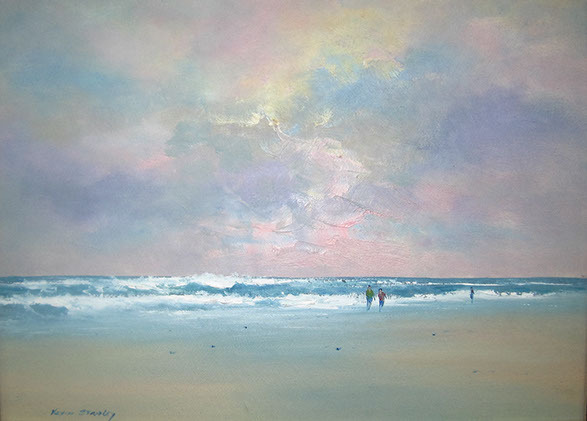 His love of beach scenes comes from the life and light of the coast as he is spiritually inspired by the elements. He was born in the Eastern Cape in 1954. He has owned successful galleries in the UK since and is still represented by other galleries there. He is a self-taught professional and gives art classes.